Can I just start by saying that I liked ‘Under the Lake’ more than the opening two-part story of this series? It kept me over the edge of my seat the entire time, and by the time the splendid cliffhanger arrived, I hadn’t realised it had been 45 minutes already! In what was the introduction to a “base under siege” story (remember how fond of them the Second Doctor was? ), the Doctor and Clara arrive at an underwater base that has the ghost of Abraham Lincoln scaring the hell out of the crew. After spending the first ten minutes denying the existence of ghosts, the Doctor triumphantly realises that, hey, they are ghosts! This episode was Capaldi at his best, truly. The entire episode was thrilling, tense and kept us audience wanting more. Even the supporting characters of the story were written in a way that you could become invested in them, unlike some characters in the past who seemed more one-dimensional. It was one of those stories that manage to be both spooky and action-packed, but still with plenty of time for the Doctor to show his brains and his sassiness. Looking forward to the resolution next week. I knew Toby Whithouse wouldn’t disappoint. –It was my fault, I should have known you didn’t live in Aberdeen. –I completely understand why it was difficult not to get captured. –I didn’t mean to imply that I don’t care. –No one is going to be eaten/vapourised/exterminated/upgraded/possessed/mortally wounded/turned to jelly. We’ll all get out of this together. -It was also cute to see the Doctor trying to give some fatherly advice to Clara. Even if he didn’t know how to stop. I agree. A good solid, if not spectacular episode with Capaldi back to his grumpy self and another frustrating cliffhanger. 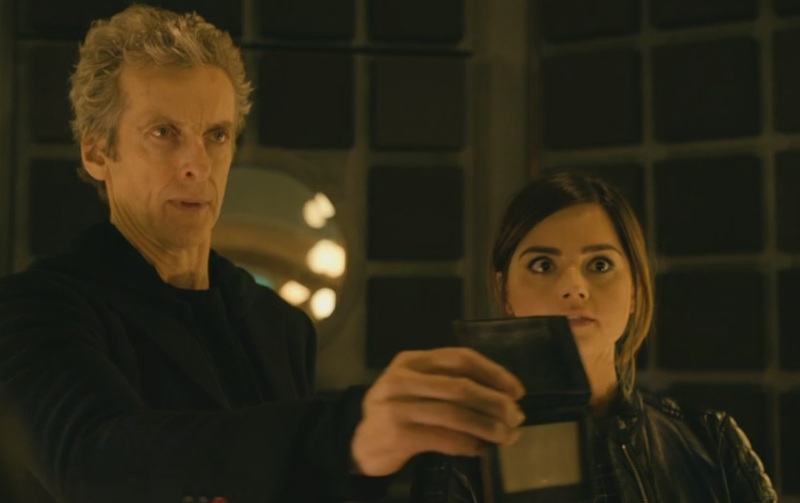 Only Clara seemed a bit OTT in the beginning. I did think she seemed a bit odd at some points. When the Doctor tries to be caring at the TARDIS, I couldn’t tell if she was pissed at him or grateful.